Interested in height options for mount? 2 - Model 9189-12-8438 : Secure iPad POS Through-Counter Mount Height Adjust Between 7" and 12"
The Apple iPad a popular choice in self-service and kiosk applications. However, the iPad’s compact size and mobility creates a theft and security risk. 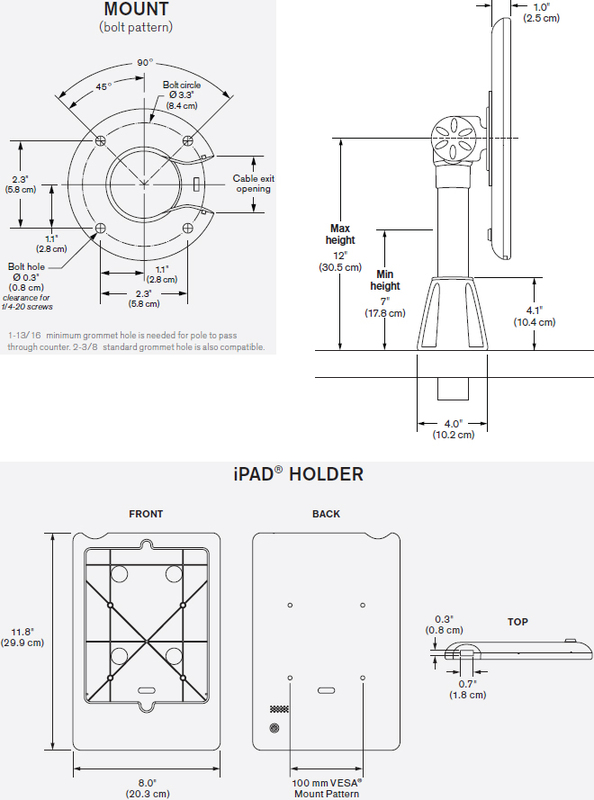 Innovative solves that problem with our Secure iPad Mount 9189-12-8438. Combined with our 9189 Countertop Mount, you are able to tilt and rotate the iPad.